The three things that help me achieve goals and manifest a fabulous new year include naming the new year, figuring out where my true passions are, and creating a vision board. These strategies may not work for everyone so I invited a few friends over to share their tools too. 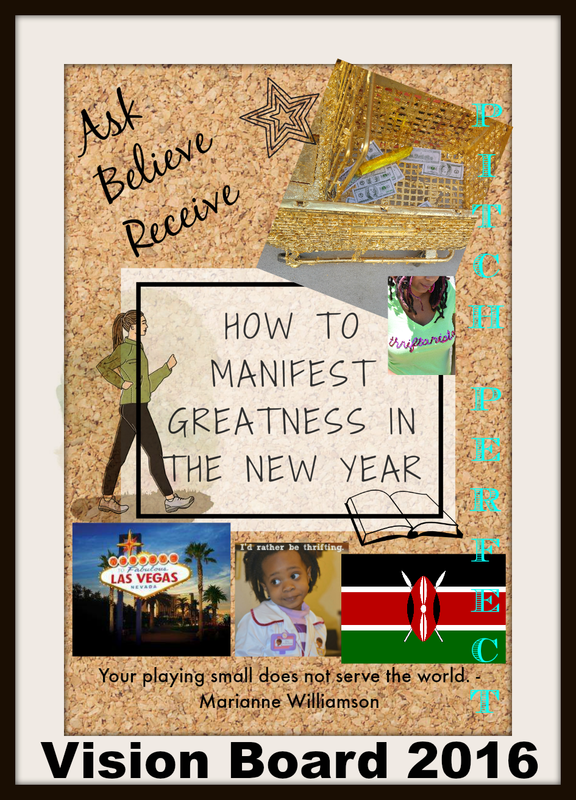 I hope that you'll find an approach that resonates with you and helps you achieve greatness in the new year. Peace, Love and Happy New Year! I found this approach at a church service I attended. You find one word to focus and meditate on that will helps you quiet the mind and gain insight into where you're going and where you want to be. It's way less stressful than trying to maintain a bunch of resolutions. I took the passion test in 2011 and I've continued to use this method to get to the core of where my passions lie and where I should focus my energy. It's a great tool to use if you have a little bit of everything floating around in your head. With this approach, you end up with five key areas to focus on. I love creating vision boards! It's helpful for me to visualize my goals plus I get to do some collage art. My last few vision boards have been digital. I use it as a screensaver on laptop, phone, and ipad. Plus, a paper copy can be printed to keep in the purse or made into a poster for your wall. Whitney "Nic" James suggests 5 Things You Must Do to Prepare for the New Year. In case you're stalled, perhaps indulging in these tangible tasks will help you set goals. If you're business minded in 2016, Kamika Hudson has Easy to Implement Goal Setting Tips and a free checklist you can use to effectively strategize in the new year. Per Diva's in Transition, you should create a game plan and then set about tackling them in manageable mini steps. You should also celebrate each of those mini steps so that you are energized to continue and see your entire plan through. Originally Remixed found and implemented a 3-step approach to tighten up business goals and life plans through planning, modifying and releasing. The Urbane 23 is not playing games with a self made planner called the Blueprint that has resolutions, mantras, affirmations, and a vision board to maintain focus in the new year. If you're the creative type, this would be a great way to spend New Year's Day. Tiffany Refined suggests letting go of fear and adding a solid plan with complete follow through. Also, find support from an accountability buddy and You’ll Make Awesome Goals and Actually Succeed. "Deep transformational change happens when you set a big goal and successfully complete it". - Nellie of Brooklyn Active Mama show you How to Tackle the Big, Scary Goals in six easy steps. Toiia of Mother of the World is taking a 5-step approach to achieving goals that allows for revision as you grow and change in the new year. How are you planning for the new year?